Joseph “Joe” Dunford joined Newman Long Term Care in 2014 as a Case Manager. Joe processes the new business cases submitted via our Brokerage and our Business Alliance channels. Joe brings to this position a wealth of experience in many lines of insurance, and a strong history in case management in particular. Joe has an extensive insurance background with experience in not only Long Term Care Insurance, but also in individual and health, life, and disability. Across the different insurance positions Joe has held since 1997, he has gained expertise in just about every part of the business – from prospecting and marketing, to training and selling, to the processing and maintenance of new business. Joe gained valued experience in his time at various insurance agencies across the Midwest. 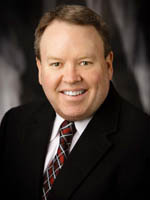 Prior to joining Newman Long Term Care, he was the Manager of the Pending Case Management team, and a Marketing Director at the LeClair Group. Before that, he learned the basics of insurance industry first as a Sales Representative and Sales Support Specialist with Catholic United Financial. You’ll enjoy talking to Joe regarding your cases. Joe started out his post-collegiate career in radio, where he worked for over a decade as on-air talent. Joe still has a passion for radio, as he currently still produces weekend programming for AM1500 ESPN in St. Paul. With a big love of sports, he also does play-by-play of local college and high school games with the Minnesota Sports Broadcasting Network. Joe and his wife, Kris, live in St. Paul. Their son Will is currently attending Marquette University in Milwaukee and is a member of the Army ROTC program. They are active in their church and community.